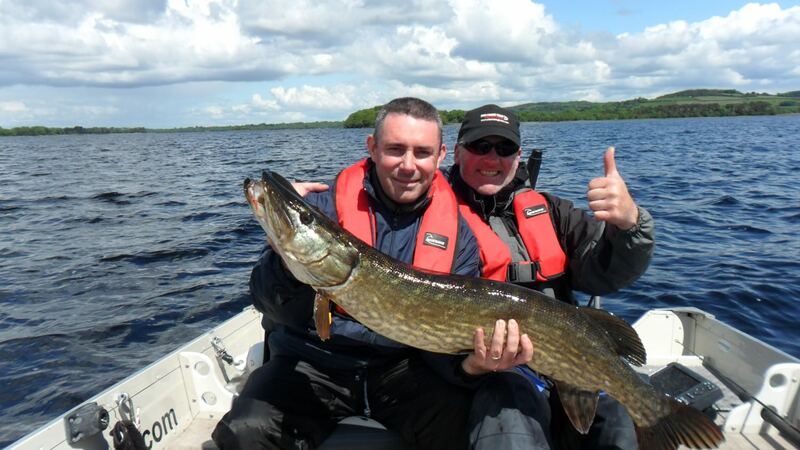 Irishfishingtours provides customised fishing holidays based in the picturesque harbour village of Garrykennedy on the shores of Lough Derg Tipperary.Irish Fishing Tours provides customised fishing holidays based in the picturesque harbour village of Garrykennedy on the shores of Lough Derg. Our comprehensive fishing trips include a guiding service, boat and tackle hire and food and accommodation. Choose from our list of existing fishing holidays or contact us to tailor one to your specific requirements. Airport transfers can be arranged on request. Irish Fishing Tours are owned and run by two local men, Danny Tiernan and Paul Bourke. Danny and Paul have lived and fished here almost all of their lives. As guides, we will show you the best fishing locations, advise you on baits and methods and then allow you the freedom to explore the lake yourself. We fully understand the needs and interests of the experienced enthusiast. Paul and Danny are especially interested in pike fishing. They experiment with methods old and new to land a catch. From trolling lures/deadbaits to the more modern methods of fly-fishing and jerk-baiting they are experienced in many techniques.